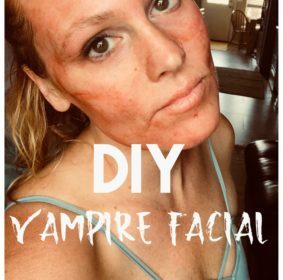 A DIY Vampire Facial might seem like a weird post. It may seem off topic, but it’s actually not! Anti-aging and skincare is a little bit of an obsession for me. Intermittent Fasting and plant based eating both contribute to anti-aging benefits. Skin as our largest organ should be included in our fitness regimen I believe. And I believe it aging annoys me and many others because we are meant to be eternally glorious and beautiful. 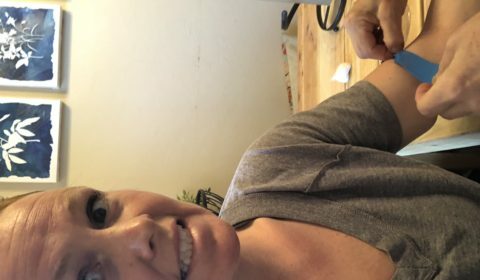 Confession: I also just like to see if I can diy expensive cosmetic procedures. The average cost for the Vampire Facial is $1500! And for dramatic results it needs to be repeated 4 times at least 6 weeks apart. So, What is it? A Vampire Facial is microneedling (or injecting) using your own blood plasma as a serum. 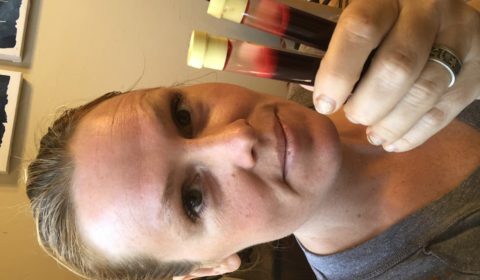 Made popular by Kim Kardashian, but now I see nearly every contributing cosmetic surgeon commenting on forums and boards that PRP or platelet rich plasma is necessary to get the most out of microneedling. 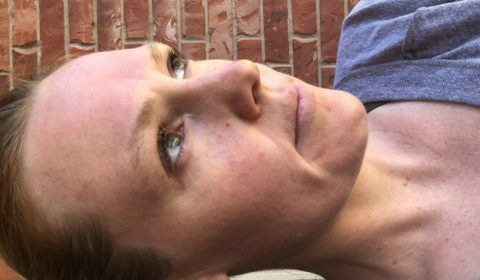 While plain microneedling, dermarolling increases collagen by 400 percent, microneedling with prp causes a 2000 percent increase! source . How it works. Platelets have growth factors. These growth factors re-introduced into the tissue will stimulate collagen production over time. Collagen is a protein that’s most concentrated in young people’s skin and it’s part of the reason their skin looks firm and supple. Collagen gives you more volume and when you have more volume you’re also getting a tightening aspect. I’ve read that platelets injected also trick the body into thinking there has been an injury and hence bring growth factors to aid new collegen formation. Doctors also use it to speed up healing after surgery or facials. And actually PRP is also injected into injuries to make them heal faster…and to grow new hair for men or women experiencing hair loss. Most of these contain affiliate links. Hey you’re gonna buy them anyway! **this dermaroller is FDA approved. This is important since some of the cheaper ones can actually rip/damage your skin making matters worse not better. ***my friend says this one is amazing. 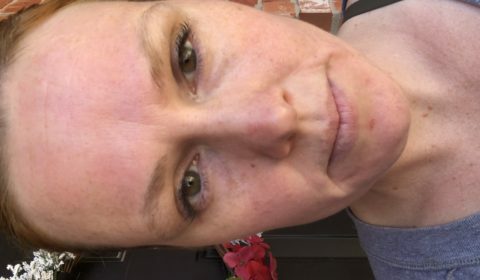 She also swears -and I’ve read- that dermaplaning prior to microneedling increases the results dramatically. 1. Disinfect arm with alcohol. Numb if you want. 6. 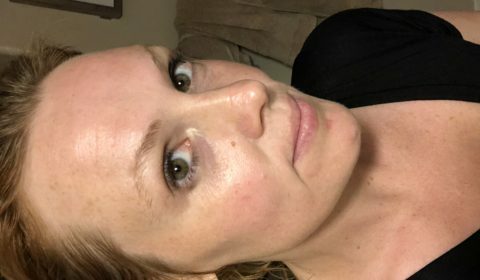 DErmapen or dermaroll whole face. This was about a week after. 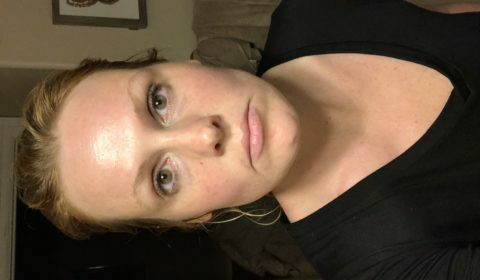 MY Before and afters in this post won’t show very accurately because I took pictures in different locations. So… my mom is a phlebotomist. She drew my blood for me. I also had a couple friends that church that were phlebotomist and offered to do it. 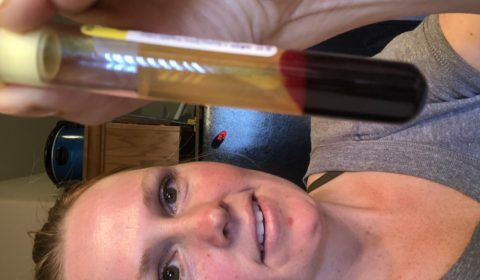 You may be able to get blood drawn at a blood lab but not sure of the cost. You could also try to yourself which all the phlebotomist I mentioned said isn’t difficult but seems scary to me still. Here is one of quite a few videos I found that taught how to draw your own blood. Make sure everything is sterile, sealed, etc. How much blood to draw? For full face, 64 milliliters is recommended by some. I used 16 ml though/2 tubes. Place tubes in centrifuge evenly distributed. So many different answers out there. I put mine at 2000-2500 r/m for around 10 minutes. Which part of the blood to use? The “liquid gold” yellow part at the top. Try to get as little red blood as possible so you don’t looking like an extra from Fear the The Walking Dead (like I did). This is a personal preference. I used a derma pen by Dr. Pen because it could make many more holes/channels. 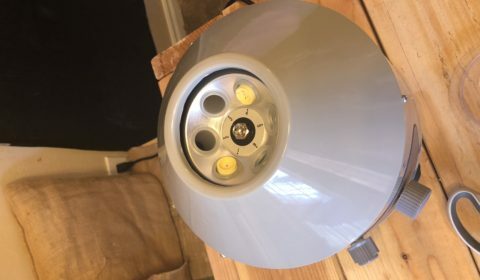 It’s faster, and the depth is adjustable. Injecting the prp is another story. I have no idea how to do that safely. What depth or length needles? I used .75 across the entire face except my lips and skin close/under my eyes. This I used .5 Here is an image that shows the proper lengths for microneedling different areas. How long to leave on? Very little. You may a little like you are a little sunburned. I also had some flaking peeling about 2 days after. I also broke out on my forehead but I think the most likely reason is because I dermarolled .25 this area and used old plasma a few days after. I read that some people do break out from Vampire Facial though because their skin is healing/detoxing. A serum containing hyaluronic acid, peptides, retinol, growth factor serums, vitamin A or combination – i love this stuff! the closest thing they have to topical botox. 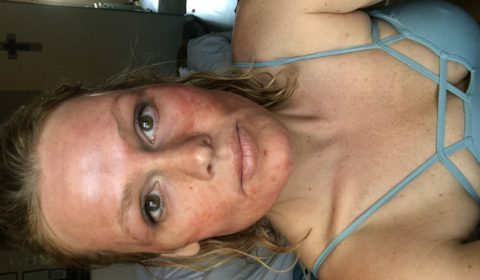 Speaking of…they say don’t Botox for a week after Vampire Facial. Wash gently 6 hours later at the earliest. It can be stored for 48 hours at room temperature. After that the growth factor starts to break down. You can use it as serum the next day if you have some leftover. To see dramatic results it’s suggested that the vampire Facial is repeated 4 times, 6 weeks apart. Well this is only the first time and even the $1500 procedure doesn’t tout dramatic results after only one session. I will continue to post my results after each time. But I do feel that there was improvement. My skin seemed more even in tone. Some of my hyperpigmentation, freckles, spots were faded. I don’t notice a big difference in wrinkles or lines. Unlike Botox or fillers, the results increase over time as more collagen is produced. Meaning, the results will be more dramatic over time. I’ll try to be more consistent on the before and afters. So, I guess we shall see!